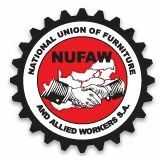 National Union of Furniture and Allied Workers S.A.
www.nufawsa.co.za- click on Nufawsa website to check Products, List of Doctors, List of Dentists etc. All queries can be directed to 086 163 6840 and a response within 24 hours is guaranteed. In case of problems Julia Vilander can be contacted. Eminent Wealth Consult (Pty) Ltd.
You can download the latest Nufawsa Sick Benefit Society – Standard Brochure 2019 here.